The Servicemembers Civil Relief Act is an important law that grants special protections to the interests of those with active military status. The rules outlined by this act are sometimes confusing, and as a result, many servicemembers and people who work with them in a professional capacity have misconceptions of the protections granted to military personnel and when they apply. In the interest of helping those with active military status to better understand their positions and those who work with them to minimize liability, we will attempt to dispel some of those myths. The SCRA includes a “stay” provision that is intended to ensure that servicemembers can’t be penalized by the civil court system when they aren’t able to attend court due to their service. However, this does not mean that those with active military status are immune to civil liability for the duration of their service. When a civil action or lawsuit is brought against an active duty servicemember, he or she can apply for an automatic 90-day stay of proceedings. This stay must be granted. After this period, however, further stays are only granted at the discretion of the court. Judges consider various factors when deciding whether or not to grant additional stays, like the urgency of the issue and the logistics of appearing in court. Child custody cases, for example, are usually considered very urgent, while petty debts might not be, according to Stripes. There are two sides to this coin. On the one hand, there are servicemembers and professionals who deal with them – like landlords – who think that because the armed forces member in question is located in America, that there are no SCRA protections to deal with. This can result in liabilities. A landlord who attempts to evict an active duty servicemember living in the U.S., for example, could face criminal charges and fines. On the other hand is the question of debt limitations for active duty servicemembers. 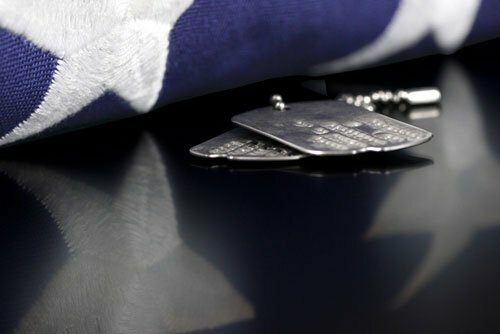 Many limitations on the interest that can be charged on debts to members of the armed forces apply only to debts taken out before he or she had active military status. If a servicemember were to purchase a vehicle at a higher interest rate before going on active duty, this would have to be amended to 6 percent. If he or she made the same purchase after going on active duty, however, the interest rate would stand. It is important for both servicemembers and those who work with them in a capacity that includes the potential for SCRA violations to be aware of the realities of this law. Servicemembers need to know their rights in order to ensure that they are enforced and professionals must strive to comply with the act to avoid civil and criminal liabilities. Regularly performing a military records search is the best way to ensure compliance with the SCRA. The Servicemembers Civil Relief Act Centralized Verification Service is here to make the process affordable and easy. The original version of the SCRA provided for foreclosure protections up to 90 days after termination of active duty. Since then, there have been various enlargements of that period (9 months and then one year), but, at the end of 2015, the law reverted back to a 90-day protection period. We try to keep current with these developments. See Section 533 of the SCRA, particularly footnote 9.